Tow Truck Insurance Cleveland Ohio – Call Today! 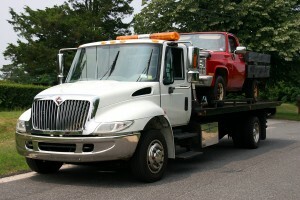 If you’re looking for Tow Truck Insurance in Cleveland Ohio and the nearby areas then you’ve come to the right place. Pathway Insurance, a leading independent agency in Ohio, has the tools and know-how to help you find the right coverage and great rates for Tow Truck Insurance in Ohio. Call us today at 1-800-998-0662 to speak with one of our licensed professionals. They’re here to answer any and all questions related to your insurance needs. Tow Truck Insurance Cleveland Ohio – Exclusions of Coverage. This week we’re continuing the exclusions of coverage theme. To recap, exclusions of coverage are specific situations pointed out in the language of an insurance policy for which coverage would not be granted by the insurance company. At Pathway Insurance, the best advice we can give you when it comes to exclusions of coverage is to read your policy very carefully! It is the best way to fully understand what is and is not covered on your Ohio Tow Truck Insurance policy. Cleveland Ohio Tow Truck Insurance – Coverage Scenario. Jeff Johannson drives a tow truck for a company called Walter’s Repair and Tow. He’s known around town by many as a bit of a sleazy guy always trying to make a fast buck at the expense of others. This is largely due to the fact that a few years back Jeff won a fairly hefty sum of money in a controversial civil suit. Jeff claimed that he had injured himself after slipping on some spilled product in a grocery store, and sued the Mom and Pop business for damages. The owners of the store claimed Jeff had engineered the injury, but ultimately the court ruled in Jeff’s favor. In the time since winning the case, Jeff’s eyes have been bigger than his wallet, and nearly all of the settlement money has dried up. Needless to say, Jeff is on the lookout for a new opportunity for some quick cash. One breezy Tuesday afternoon, Jeff’s wife calls him while he’s on the job and tells him she needs a ride to the casino because her car won’t start. Not wanting to make her angry, Jeff grudgingly picks her up on the way to his next towing job. The drive to the customer isn’t a long one, but it feels like an eternity for Jeff as he and his wife nag and complain with each other, as they often do. When they arrive, Jeff tells his wife to stay in the truck while he hitches up the car, but she follows him out, anyway. The customer just stares awkwardly as the two go at it as if he’s not even there. Jeff is becoming so irate that he’s no longer paying much attention to what he’s doing. Without realizing it, he does not properly secure the attachment to the car. After using his tow truck’s arm to hoist the car up onto its rear wheels, Jeff finally notices that he’s been arguing with his wife in front of a customer. Embarrassed, he beckons his wife to come around behind the truck with him for a moment to quietly finish the matter. While the couple attempts to end their argument, the improperly attached car comes unhinged and rolls backward. Before they can react, the two are bowled over by the car’s weight and momentum. When Jeff comes to, he notices that his arm might be broken and his wife is completely unresponsive and she’s rushed to the emergency room. Jeff thinks he might be able to figure out a way to sue his employer for this accident… and he smiles with devious delight. Be sure to check out next week’s article to find out what Jeff does next, and how understanding the language of a policy would affect the outcome. Or you can call the knowledgeable agents at Pathway Insurance today for more questions about Ohio Tow Truck Insurance. Call 1-800-998-0662 Monday through Friday 9:00 AM to 5:30 PM (EST). We will shop the market for you to find the best coverage options being offered on Tow Truck Insurance in Cleveland Ohio.